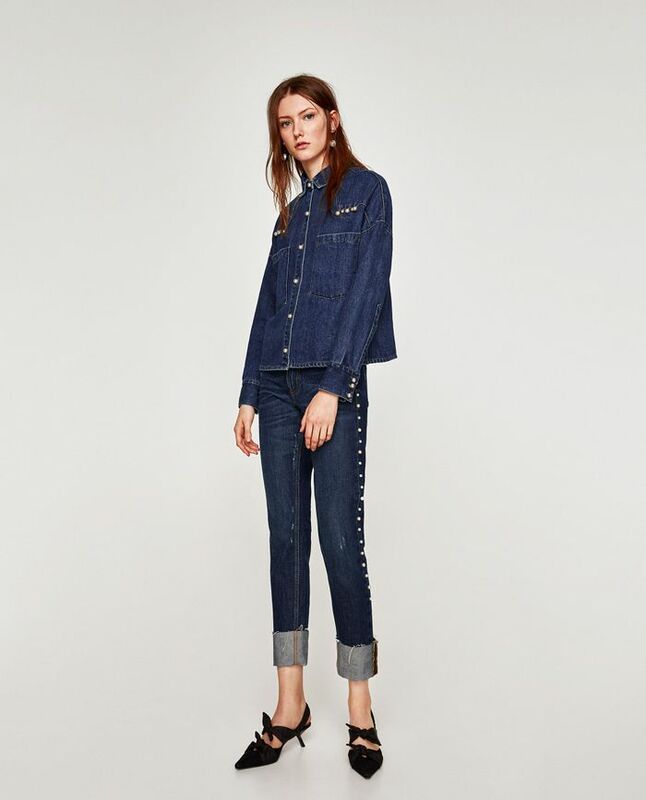 Zara released its gorgeous denim editorial over the weekend, and it’s clear one of the biggest trends for the material this season is embellished jeans and denim pieces. Nearly every item in the editorial included statement embroidery or stunning beaded and faux-fur details. The below jeans were featured in the edit, which have pearls lined down the side. The “pretty” detail was also seen on a matching denim button-down shirt. While the jeans are only available for preorder right now, we’re sure the style will sell out fast, so be sure to add your email to the alert list. Are you ready to swap your simple jeans for a snazzy pair this fall? Scroll down to see the “pretty” jeans Zara is endorsing for fall. Up next, shop the denim trend you can wear now and through 2018.